Sony a6300 Announced with 24MP Sensor and Incredible AF ! Sony has just introduced the long-awaited update to its popular a6000 mirrorless camera: the a6300 (Amazon/B&H Photo/Adorama). Featuring a newly developed 24 Megapixel APS-C sensor and a completely revamped ‘4D’ AF system with 425 phase-detection AF points, the a6300 sits at the top of Sony’s APS-C mirrorless lineup. The price for Sony a6300 is $1,000, will be shipping in March, 2016. Capable of continuous shooting at up to 11 fps with AF, the a6300’s 425-point hybrid AF system features ‘high-density’ tracking, which dynamically activated AF points around a subject and adjusts them depending on the motion of the subject itself. Perhaps the biggest news is that the a6300 is capable of uninterrupted live view at up to 8 fps, potentially addressing one of the biggest shortcomings of mirrorless cameras when it comes to fast action shooting. Traditionally, mirrorless cameras tend to show only a stop-motion sequence of last-shot images at the highest shooting frame-rate, which makes it hard to follow a subject and keep an AF point over it. Live view in between short blackouts brings the a6300 much closer to the experience of a DSLR with optical viewfinder. At the launch event in New York this morning, Sony showed a video reminiscent of Nikon’s recent DSLR vs. mirrorless comparison for fast action shooting at CES, albeit comparing the a6300 to a <$1000 DSLR. Results looked impressive, with what appeared to be usable live view in between short blackouts at 8 fps. The a63000 is also capable of 4K video capture at up to 100 Mbps. The camera uses a 20MP (6K) region of the sensor to offer 2.4x oversampled 4K video. The a6300 will be available in March for $1000 body only. 1. 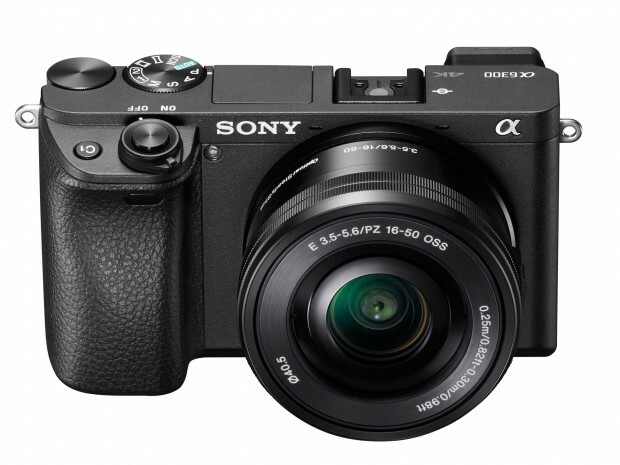 Among interchangeable lens cameras equipped with an APS-C sized sensor as of February 2016, based on Sony research. Measured using CIPA-compliant guidelines and internal method with an E PZ 16-50 F3.5-5.6 OSS lens mounted. Pre-AF off and viewfinder in use. 4. A-mount lenses with SSM or SAM only. Users can choose phase-detection AF or contrast-detection AF in AF System menu. 9. S-Log2 and S-Log3 are based on processing pictures. Next Next post: Sony Announced 24-70mm f/2.8, 85mm f/1.4, 70-200mm f/2.8 G Master Lenses !